Tis almost the season to be jolly, decking the halls with boughs of holly. It is also important to remember those who may be alone this festive season. For our next Charity Day at Compass Associates, our Care Home division are planning a day of festive fun, including Santa’s Grotto, in aid of Community Christmas. 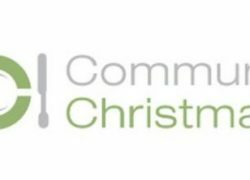 Community Christmas began 6 years ago, with a mission to make sure that no elderly person spent Christmas alone and in turn, helping to build strong relationships with the elderly and their local communities. Compass Associates attended the Annual Scottish Care National Care Home Conference & Exhibition for the third year in a row, exhibiting in the main conference room. Stuart Cousins, Senior Consultant and Lily Parke, Marketing Associate flew the flag for Compass Associates in Glasgow. The conference serves to promote everything positive within the care home industry showcase new initiatives and discuss changes to regulation and legislation. The title of the conference this year; “Pushing the boundaries: care home reform and reality”.